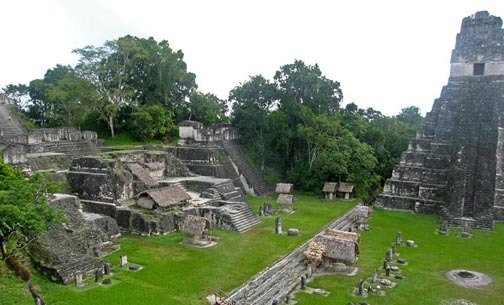 Guatemala is an intriguing country to visit or in which to live. 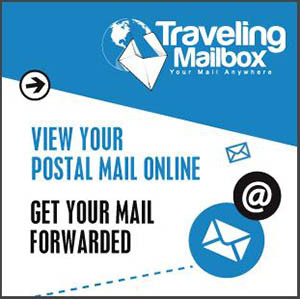 Whether you plan a vacation or a long term stay, our information below will be useful to you. 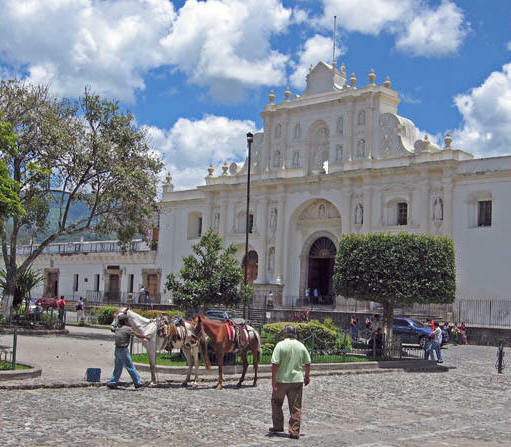 Guatemala boasts beautiful weather, plenty of history and culture and friendly people. 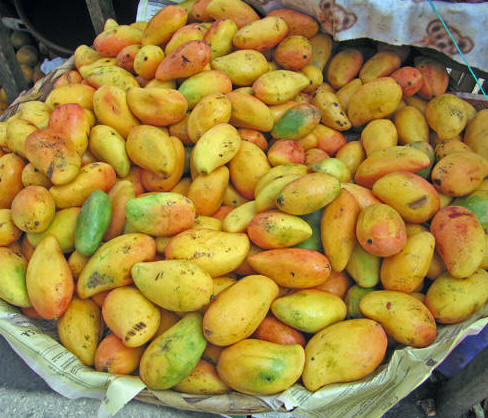 The food quality is good, affordable and accessible. 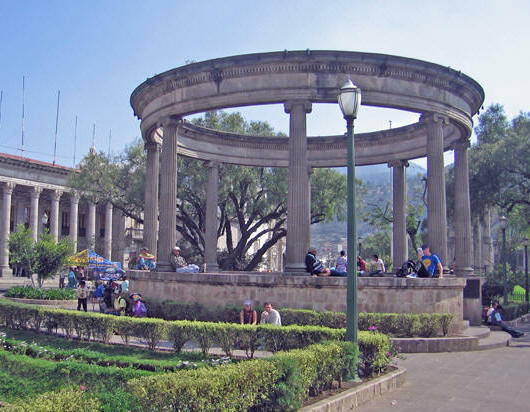 Medical care is excellent in Guatemala City, with high quality available in other cities such as Xela and Antigua. Volunteer opportunities are everywhere and there is a growing and influential Expat influence. We have listed here for you a variety of hotels, restaurants, hospitals, doctors, clinics, Spanish schools, volunteer opportunities, videos and useful links. There is a wide range of lodging available in Guatemala, from hostels, working ranches, living in an indigenous home to apartments, sublets, upscale spas, hotels, river lodging and villas. Why limit your experience? 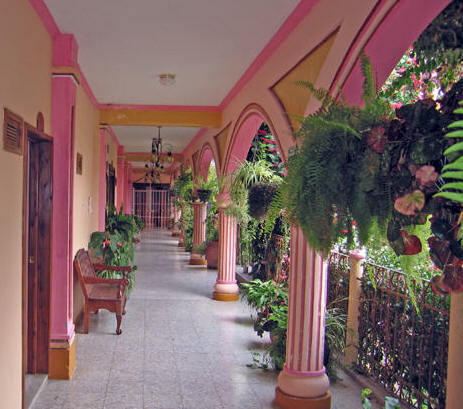 Casa Dona Mercedes Hostal, 6a Calle y 14 Avenida 13-42, Zona a, Xela, Guatemala Tele: 5687. 3305 & 7765. 4687. Clean, safe and good atmosphere. Full Kitchen, Wifi. Casa Morasan Apart-Boutique, 12 Avenida, 8-21, Zona 1, (a block from the central park) Xela, Guatemala Tele: 502. 7765. 0616, email: info@casamorasan.com The accommodation features a cable flat-screen TV. Some units include a sitting area and/or patio. There is also a kitchen, equipped with a dishwasher. A microwave, a refrigerator and stovetop are also featured, as well as a coffee machine. Each unit has a private bathroom with a bathtub or shower. Towels are provided. Casa Blanca located on 15 Calle "C" 7-35, Aurora I Zona 13, Guatemala City. Tele: 502.2261.3116, 2261.3129 and 2261.2781. 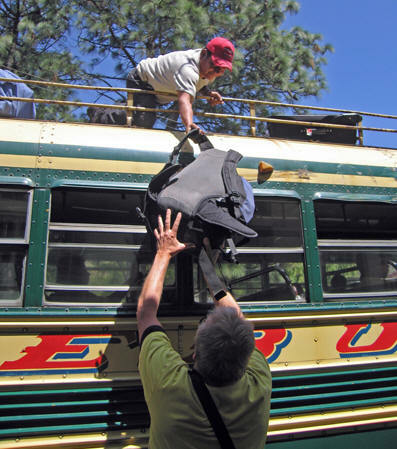 Free transport to and from airport, Cable TV, Wifi, bar, continental breakfast. Hostal Los Faroles located 2 minutes from the airport in Guatemala City at 8a Avenida 17-74 Aurora, I, Zona 13. Tele: 4740.3796 and 2261.2963 Rooms start at $9.99, hot water, large parking lot. Antano Hotels, located in Guatemala City offering comfortable rooms, Junior Suites and standard rooms, Breakfast, WIFI, patios. Five minutes from airport. Weekly and monthly rates available. Tele: 502.2334.6121. 4a Avenida "A" 13-74, Zona 9. Casa Santorini located 1 minute from the airport on 7a Avenida "A", 17-17, Aurora I Zona 13, Guatemala City, free shuttle. Tele: 502.2261.2766. Cellular: 4365.8583. 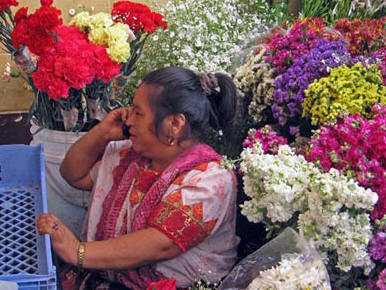 Guatemala,Tele: 502. 2261.2937 Comfortable private rooms with Cable TV, continental breakfast, gardens, Wifi, Free transportation service to and from La Aurora International Airport. Hotel Casa Rustica 6th Ave Norte #8 Antigua, Guatemala Tele: 7832-3709 / 7832-0694 1 block from Central Park, website www.casarusticagt.com Email: casarusticagt@hotmail.com Directly behind Parque Central, Private Bath, Cable TV, WiFi, Kitchen, Comfy Large Screen TV Lounge, Airport pickup, Laundry, Bag Storage, Billards, Coffee by the Front Desk, 2 Gardens and 3 Terraces with Views. Hotel El Meson de Maria, 3a Calle Pte. #8, La Antigua, Guatemala. Tele: 502. 7832. 6068. Luxury in elegant setting. Antigua Rentals and Services, Office: 5 Avenida Sure Final #36. Office: #6A Antigua, Guatemala. Tele: 502. 7832. 4779. Houses and apartments for rent by the day, week, month. Fully equipped, wifi, Cable TV. Properties for different budgets, located in and around Antigua, House rentals in all of Guatemala. A Place to Stay Hotel, 5a Calle Poniente #42, Callejon Landivar, La Antigua, Guatemala, Tele: 7832. 5515, Email: raulcruzval@yahoo.com private rooms, shared rooms, kitchen, Cable TV, Wifi, DVD, laundry breakfast, purified water. Casa Concepcion Bed & Breakfast, Callejon del Hermano Pedro #2, La Antigua, Guatemala Tele: 7832. 0360. El Marqes de Antigua, 4a Avenida Sur #30, La Antigua, Guatemala. Tele: 2386. 1012, 7832. 8259 Fully equipped luxury suites at hotel room prices. Daily, monthly and yearly. Hacia El Sur Hostal Quality Hostal near Cafe No Se. Private rooms and dorms, WiFi, laundry. Breakfast included. 1st Ave. Sur, #15 at end of 6th Calle, under Cafe Sky. Tele 7937. 2008. Antigua. Hotel Casa Antigua, 34a Calle Poniente#5, La Antigua, Guatemala, Tele: 7832.9090 Website: www.hotelcasa-antigua.com 7316. Email: casadelasfuentes@hotmail.com 24 Double rooms, convention room, parking. 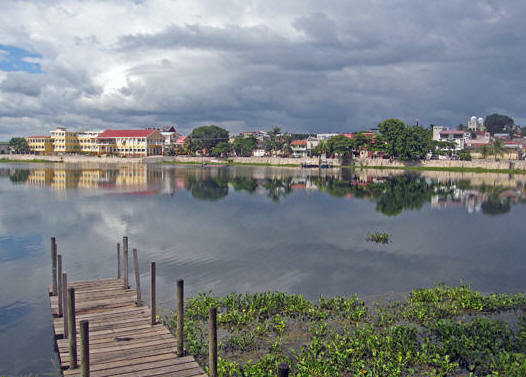 Near San Sebastian Park. Hotel Casa de Las Fuentes, Avenida El Desengano #26, La Antigua, Guatemala, Tele: 502. 7832. 2312. and 7832. Hotel Casa Del Parque, 4ta Avenida Norte #5, La Antigua, Guatemala Tele: 832.0961. Hotel Los Pasos, Tele: 502. 7832. 5252. Hotel Panchoy, 1a Avenida Norta 5-A La Antigua, Guatemala, Tele: 502. 5201. 7468/ 7832.1020 / 7832. 0937. Email: info@hotelpanchoy.com 21 equipped rooms by the day, week, or month. Cable TV, Safety box, mini Bar. La Casa De Maco, 1a Avenida Norte #22-A in Antigua, Tele: 502. 7832. 2549. Email: info@lacasademaco.com Six blocks from Central Park, Wifi, shared kitchen. Sunday on the Plaza - Hear Andean music like you are right there! On the Main Plaza in Antigua, the old Colonial capitol of Guatemala. Families and tourists gather. Hotel de Cortez y Larraz 6a Avenida Sur, No. 3 Antigua. Tele: 502. 7832. 0276 or 7832.1702 Email: cortezylarraz@yahoo.com Hot water, private baths, laundry. Meson del Valle, 5a Avenida Sur #11-C, La Antigua, Guatemala, Tele: 7882. 4469. Panza Verde Hotel & Restaurant, Best hotel in town. 5ta Avenida Sur #19 La Antigua, Guatemala Tele: 7832. 2925. Posada El Antano, 6a Avida Nort #36, La Antigua, Guatemala Tele: 7832. 7351. & 7832. 0134, 11 comfortable rooms w/fireplace, volcano view. Restaurant, terrace, Internet, Parking, special rates. Real Plaza Hotel, 9a Calle Poniente #40, La Antigua, Guatemala. Tele: 502. 7832. 2239 - 42. Tabi House, Callejon del Hermano Pedro#12, La Antigua, Guatemala. Tele: 4570. 8065. Email: tabihouse@gmail.com Great views, colonial style, garden, Wifi, 4 blocks from Central Park, very quiet, private. Yellow House, 1a Calle Poniente #24, Antigua, Guatemala, Tele: 502. 7832. 6646, Email: yellowhouseantigua@hotmail.com Clean rooms, fast WiFi, friendly staff, great breakfasts. 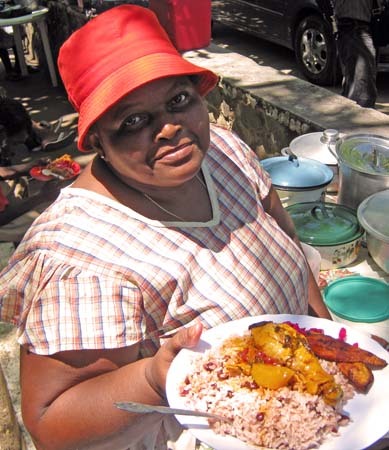 Let Antigua into Your Heart - You have never seen Antigua like this! I heard from a native here, that the best way to see Antigua is to wander. "Take your time and go through the small streets. People are friendly. Say hello. Let Antigua into your heart." Hotel Fonda del Sol, Calle Principal 1-74, Zona 2 Panajachel, Lake Atitla, Guatemala, Tele: 7762. 1162. Email: h_fondadelsol@yahoo.com 15 Comfortable rooms, Parking, laundry, garden. Hotel Dos Mundos, Panajachel, Calle Santander, 4-72, Zona 2. Tele: 7762. 2078. Email: dosmundos@atitlan.com & h2mundos@intelnet.net.gt Website: www.hoteldosmundos.com Pool, parking, laundry, gardens, Cable TV, security boxes, travel agency, conference room. La Posadada de Don Jose Up from the day market 2a Avenida, Calle Principal 3-49, Zona 1 Panajachel. Tele: 502. 7762. 2176 or 7762. 2630 / 31 or /33. Clean rooms, garden setting. Dos Mundos Pacific Resort, Tele: 502. 7823. 0820 / 7848. 1407 / 7848. 1771. Pools, gardens, lounge, bar, restaurant, beach front. Guatemala Cayman Suites, Monterrico km 133. Tele: 502. 2332. 7161 / 7848. 1742/43. Large rooms with A/C, Direct TV & DVD, minibar, pool bar, international restaurant. Cafe de Sol, Playa de Monterrico Tele: 5810. 0821. 5050.9173, - Villa Kairos Tele: 5582. 3767 & 4622. 4923. Email: informacion@hotelvillakairos.com, - Honolulu Hotel and Restaurant, Monterrico, km 8, hacia Hawaii. Tele: 4005. 0500, 4503. 0386 Email: honoluluhotel@gmail.com, - Casa Bella Tele: 5907. 2552. / 7821. 3088 Email: bramishka@yahoo.com, - Hotel Utz Tzaba Tele: 5318.9452, - Hotel Dulce y Salado Tele: 4154.0252, - Hotel Atelie del Mar Tele: 5752. 5528, - Johnnys Place Hotel Tele: 5812. 0409 private beach house, bungalows, dorm, restaurant/bar. Email: reservations@johnnysplacehotel.com, - Hotel Lahaina Tele: 5487. 3971, - Hawaiian Paradise Hotel Tele: 5361. 3011 8 kms after Monterrico, - Cafe del Sol Tele: 502. 5050. 9173, Monte Rico, Guatemala. Las Lisas - Isleta de Gaia, Las Lisas Km 144. Tele: 7885. 0044. 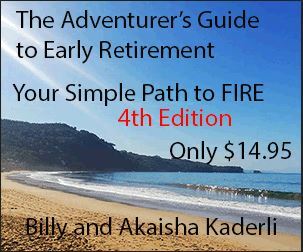 Lonely Planet says: The Pacific Coast's best kept secret. Frommer's declares: This should be your first and only choice. North & South bookstore, 8a Calle & 15 Avenida, 13-77, Zona 1. Xela, Guatemala, Tele 7761. 0589. 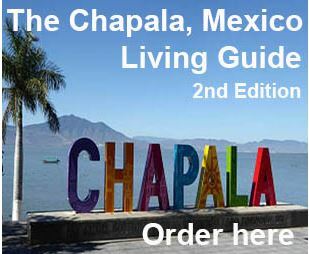 Literature travel guides, maps, postcards, Spanish textbooks, organic coffee. Moonkat Dessert Lounge & Galeria de Arte, Home made cakes and desserts, exotic juice smoothies and flavored hot chocolates. Located between Central Park and the Municipal Theater, 2a Calle, 13-30 Zona 1, Xela. Open Wed - Sunday, afternoons and evenings. Cafe Especial de Guatemala offers courses in coffee production and exportation, producing 100% organic Fair Trade coffee. Xela, Guatemala, Tele: 7765.0623 or Email fecceg@gmail.com for free home delivery or for more information about products, tours and services. Asados de Antigua Restaurant/Steak House 6th West Street, No. 15. Open from Noon to 9:30 p.m. Email: restaurante-steakhouse@outlook.es Tele: 502. 7832. 1046. Bistro 5 Home made pasta, bistro cuisine. Sunday brunch. Antigua. 4th Calle Oriente #7, Tele: 7832. 5510. Cactus Taco-Shop Little hole-in-the-wall. Relax with a cold beer and some awesome tacos. The fish tacos are a house specialty. 6th Calle Oriente, #21. Antigua. Tele: 7832. 2163. Circus Bar, 4a Calle Oriete #10, Casa Antigua El Jaulon, 2nd floor, Tele: 7832. 1033 & 7832. 0597. Como Como Open air garden seating or bar with fireplace. Menu is creative French/Belgian, fish, poultry, beef. 6th Calle between 4th and 5th. Tele: 7832. 0478. Antigua. El Cazador Italiano 3a Avenida Norte #1B, La Antigua, Guatemala. M-Sat 12:00 - 11:00pm, Sun, 12:00 - 10:00pm. Tele: 4092. 0156. OR 7832. 2955 Email: elcazadoritaliano@gmail.com Authentic Italian Cuisine. Try the Aarg Pizza. El Sabor del Tiempo, Shrimp, rabbit, steaks, pasta, burgers. Calle del Arco y 3a Calle esquina. Tele: 502. 7832. 0516, Antigua, Guatemala. El Viejo Cafe - French Bakery 6a Av. y 3a Calle Esquina No. 12, Antigua, Guatemala. Tele: 502. 7832. 1576 or 7832. 1588 Email: jrquiroa@yahoo.com Good coffee, great pastries. Fridas, Cocina Mexicana & Bar, Home Delivery, Pool Lounge. Calle Del Arco #29, just south of the arch. Antigua, Guatemala,Tele: 7832. 1296. Hops and Tales Craft beer by the bottle and on tap. Wings and Nachos. Beer O'Clock happy hour 4-7 p.m. 3a Calle Oriente #19D between 1st and 2nd Avenidas. Antigua. Kafka One of the best music venues in town. Fantastic comfort food. 3rd Calle Poniente #4 between 4th and 5th Avenidas, Antigua. Tele: 7832. 7790. La Canoa Restaurant & Sports Bar, 5th Calle Poniente #6, La Antigua, Guatemala, Tele: 7832. 7583. La Taverna Like conversation? Beat the crowds. Inside La Fuente, 4a Calle Oriente, Tele: 7832. 9663 Antigua. Mono Loco THE place to watch sports in Antigua. Tuesday is ladies night. 5th Avenue between 5th and 6th. Tele: 7832. 4235. Ni-fu Ni-fa Steak House Parrilla Argentina, 3a Calle Oriente #21, La Antigua Tele: 7832. 6579. Live Music every Sunday, Delivery available. Ocelot Blues and Jazz Joint, menu de tapas, prime local haunt. 4ta Avenida Norte #3, between 3rd and 4th. La Antigua. Amazing Terrace. Organica Foodstore open 7 days a week, 8 a.m. to 6 p.m. 5a Calle Poniente #6, Antigua, Guatemala, Tele: 7832.6533. In Guatemala City diagonal 6 16-23, Zona 10, Comercial La Villa Locales 2Y3, Tele: 2263. 1819 & 2263. 1827 Also Carretera Al Salvador, km 15.5, Condado Concepcio Fase I, local #21 Tele: 6634. 7077 Open Monday - Saturday 9 a.m. to 7 p.m.
Pappy's BBQ The best Texas BBQ in town. Daily specials, Tele: 502. 5979. 6771, Website: www.bbqantigua.com Facebook: https://www.facebook.com/PappysAntigua Open daily. On the corner of 6th St and 6th Calle, Antigua. The Snug The best day drinking joint in town. Antigua. The place is brilliant. 6th Calle Poniente #14. Tele 4215. 9601. Sunday on the Plaza, Too - Daydream, drift away, colorful musicians, rhythmic beats. On the Main Plaza in Antigua, the old Colonial capitol of Guatemala. Hotel Tzanjuyu Rooms with private and public bathrooms, hot water. 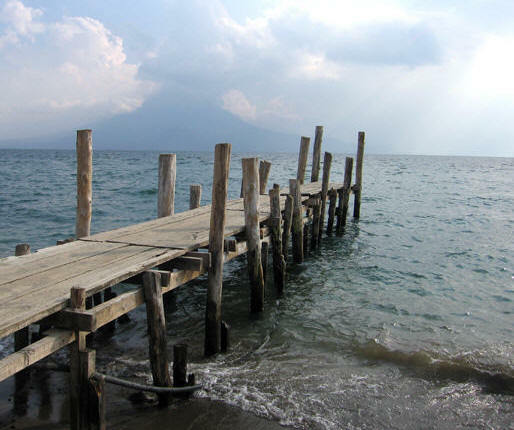 Located in Santiago Atitlan. Tele: 502. 4286. 3699 or 5590. 7980. Owned by Diego Pablo Coquix. EyeScan Imagenes Diagnosticas Oculares, S.A. 10 Calle 3-01, Zona 14 Tele: 502. 2337. 2338 Tele: 502. 2337. 0274 Email: eyescangt@gmail.com Guatemala City, Guatemala. Henry Ramirez speaks English Open M-F Saturday, 7-10 am Everything for the eyes, including glaucoma testing. Casa de los Angeles A memory care residence, comprehensive care. Address: Aldea Choacorral, San Lucas Sacatepequez Km 25.5 Guatemala, Centro América, Phone: (305) 320-3790 (502) 4227-2911. Clinicas de la Cruz 3a Avenida Norte #11A Tele: 502. 7832.0125 and Blvd. Los Proceres 18 Calle, 24-69 Zona 10, Torre 1 Of 10-07 Empresarial Zona Pradera, Antigua, Guatemala,Tele: 502. 2261. 6875. Implants, cosmetic dentistry, root canals, laser bleaching, custom dentures, crowns and bridges. Jore E. De La Cruz, DDS, P.C. Maxillofacial Centre, Dr. Luis Ramirez, DDS, OMFS, located at 4th Avenue North No 41B, Antigua, Guatemala Tele: 7832. 9440 and 7832.6002. Optyma Vision y Moda, Dra. Paulina Castejon, Avenida El Desenganoem #33, La Antigua, Guatemala,Tele: 7882. 4281 and 7823.3000 Email: visionymoda@telgua.com Prescription glasses, optical services, contact lenses, eye disease treatment, eye surgery, certified botox. Plastic Surgery, Reconstructive Hand Surgery - Dr. Juan Carlos Galindo in Guatemala City. Edificio Sixtino, 6ta Avenida 6-63, Zona 10, Tele: 502. 2269. 7071 or 2269.7072 or 2269. 7073 or 2269. 7074. Cell: 5202. 6280 Email: JCGalindo 57@gmail.com or JCGalindo57@yahoo.com This was the hand surgeon Akaisha used for her hand accident. Highly recommended. Speaks English. Innovacion Oftalmologica Integral, Centrocular, ophthalmology and glaucoma procedures. 10z Calle 2-45 Zona 14, Edificio Clinicas Medicas officina 705, 7th level. Tele: 502. 3014. 6200, email: ioftalmologicaintegral@gmail.com , Dra. Maria del Carmen Gil Ovalle, Tele: 502. 2368. 0134, Email: dracarmengil@gmail.com or centroculargt@gmail.com Guatemala City. Eye Scan Laser Center, 10z. Calle 3-01 Zona 14, Edificio Artes Medicas, 1er. Nivel Tele: 502. 2337. 2338, 502. 5513. 4627 Email: eyescangt@gmail.com and eyescanlasercenter@gmail.com Guatemala City. 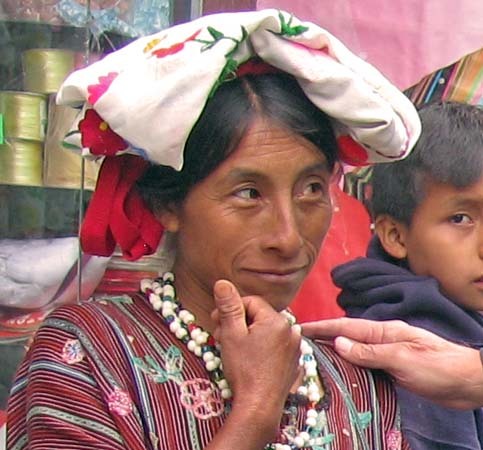 Panajachel Medical Guide - list of medical services available in Panajachel. La Asuncion Laboratoria Clinico Biotolico, Licda. Kenia Maria Caballeros Barragan, Calle Principal, Callejon Maria Cruz local 6C, Panajachel. Telefax: 502. 7762. 6268, Website: www.laasuncion.com.gt Email: info@laasuncion.com.gt Panajachel. In SOLOLA: 7a Avenida 11-52 Zona 2, Tele: 502. 7762. 4869 Telefax: 502. 7762. 3303. 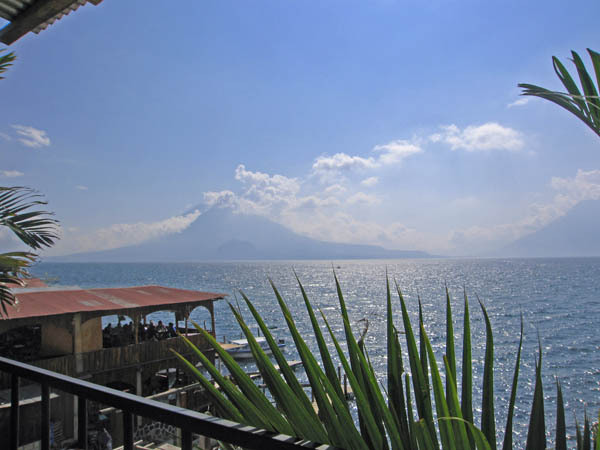 Spanish Instruction Asociacion Pop Wuj One-on-one Spanish instruction in a spectacular setting and the opportunity to help the people of Guatemala while you learn. Regular Immersion Program, social work and Medical Spanish Program. volunteer opportunities available. Located at 1a Calle 17-72, Zona 1 Quetzaltenango, Telefax: 502. 7761.8286.
International Volunteer Headquarters provides safe, quality and extremely affordable volunteering programs abroad in developing countries all over the world. Each year they place over 4000 people into their programs abroad and they have a wide range of volunteer travel opportunities. Volunteers can choose to work on projects for various periods of time ranging anywhere from one day to six months. Lemonade International Volunteer in Guatemala. Education, health access and job creation are imperative to providing sustainable solutions for the children and families who live in this country. this organization impacts the lives of more than 350 children every year, along with a thriving church community, a construction workshop, a microfinance program, and a safe home, providing a refuge for abandoned, abused and neglected children. Lax Travel Antigua Travel Agency, 3a Calle Poniente #12 Esquina, La Antigua, Guatemala. Tele: 7832. 1621 & 7832. 2674. Email: laxantigua@intelnett.com You won't find better airfares than ours! Wholesale prices. Hotel Mediterraneo Plaza, 15 Calle Poniente #4319, Col. Escalon, San Salvador Tele: 503. 2263. 4592. Ask about their special offers. Alicante Hotel, La Sultana, C. Las Rosas Y Avenida Los Laureles #1, S.S. Tele: 2243. 0889. Email: Alicante_international@hotmail.com, Air con, Cable TV, Pool, internet, lovely garden. Alicante Montana Hotel, Km 93.5 Carr. Apaneca-Ataco. Tele: 503. 2413. 8656. Email: alicanteapaneca@hotmail.com, 26 rooms with hot water, Cable TV, restaurant, pool, spa. Capricho Beach House - start your trip in El Salvador at one of the country's best beaches: Barra de Santiago. 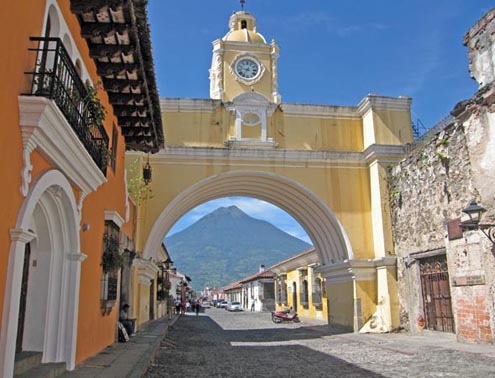 Just 3 hours from Antigua, Guatemala via Esquintla. Pristine beaches, surf, turtles, mangroves, in a nature reserve. Tele: 503. 7981. 4517. Rainbow Travel Center, 7 Avenida Sur #8, Tele: 502. 7931.7878. Flights, shuttles, tours and hotels. Best service for the best price, guaranteed!